Make dinner a selfless act by joining us for a fundraiser to support Texas School for the Deaf Foundation. 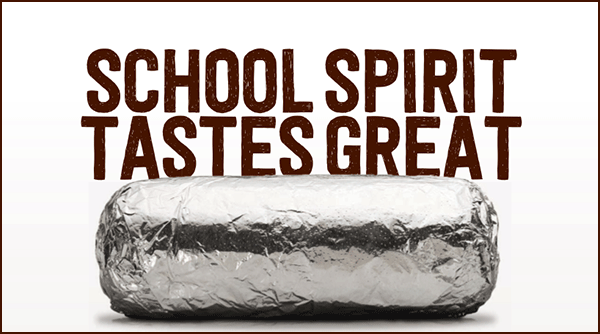 Come in to the Chipotle at 10515 N Mopac Expy Ste B200 in Austin on Thursday, September 21st between 4:00pm and 9:00pm. Bring in this flyer, show it on your smartphone or tell the cashier you’re supporting the cause to make sure that 50% of the proceeds will be donated to Texas School for the Deaf Foundation. In order for your purchases to be credited towards the fundraiser, you can show the cashier the flyer (in hand or on a mobile device) or just tell the cashier – no paperwork needed – that you are supporting the fundraiser when paying at checkout. To download the flyer and share with your friends, you can flyer.